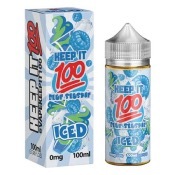 Blue Slushie 100ml E-Liquid by Keep it 100 E liquid is your favourite, ice-cold, convenience store blue raspberry drink with a hint of strawberry. You've tried the original, now taste is on ice! Blue Slushie E Liquid became a best seller due to it's fantastic attention to perfecting the balances of its flavours. 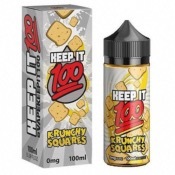 Blue Slushie Tropical E-Liquid by Keep it 100 is an ice-cold, convenience store blue raspberry and strawberry drink blended with a medley of tropical fruits. 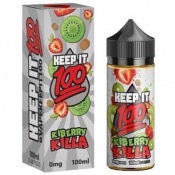 Killberry Killa by Keep It 100 E liquid is a delicious tropical blend of sweet strawberries balanced with a hint of slightly tart kiwi. 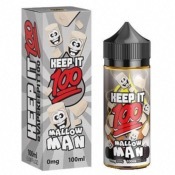 Mallow Man by Keep It 100 E liquid is a freshly-baked sugar cookie coated with gooey melted marshmallow deliciousness. 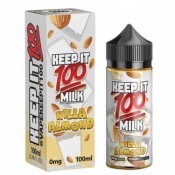 Nilla Almond by Keep It 100 E liquid is a refreshing blend of milk and rich, creamy vanilla with a touch of almond nuttiness. A delicious peach and incredible mix of mangoes and apples blended together to create a refreshing punch vape.